Directions: Park along Minnehaha Drive just south of the roundabout at Minnehaha Pkwy and Godfrey Pkwy. Follow the path to the east that leads to the falls. 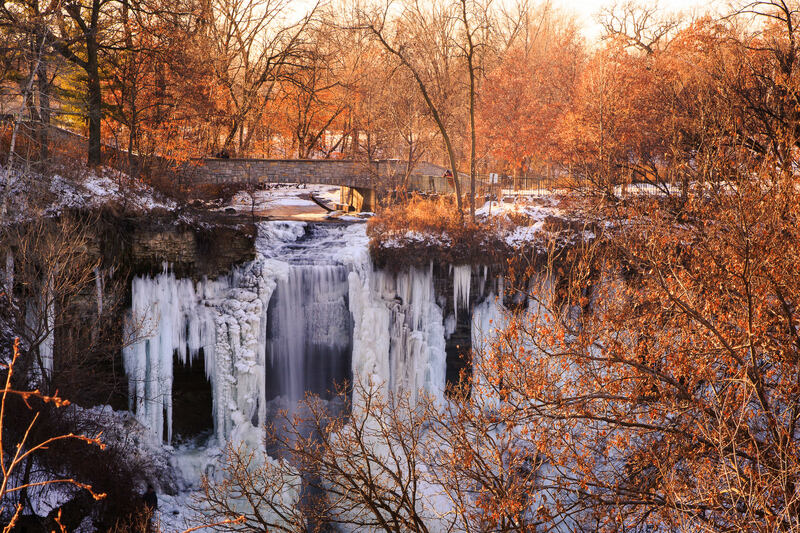 Known as the Land of 10,000 Lakes, Minnesota is also home to some spectacular waterfalls like Minnehaha Falls in Minneapolis. We visited in the winter, so the path down to the falls was closed for safety reasons, but even though we couldn’t get right in front of the falls, there were still some good places along the upper walkway to get great photos. For best results, visit Minnehaha Falls on an overcast day. Bring a tripod and use a neutral density filter so that you can blur the waterfall by using a long shutter speed. 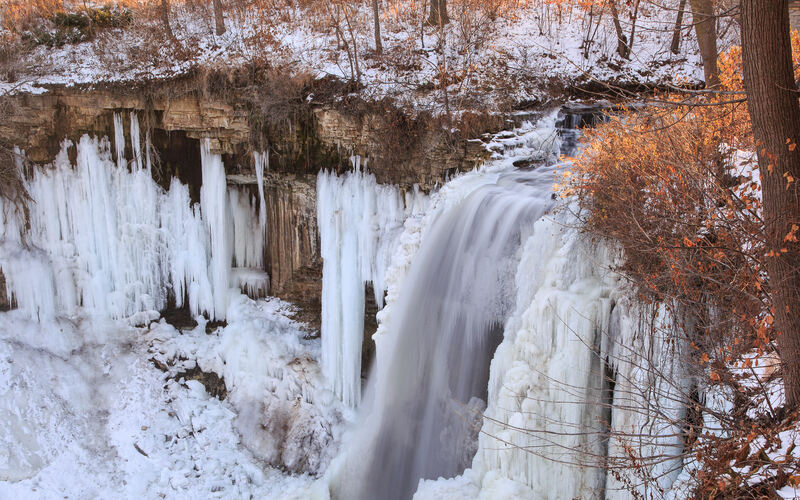 Start with a shutter speed of 1/4 second and adjust until the falls look best.